Here's a super easy NO-BAKE pumpkin cheesecake recipe. I made this cheesecake with half the usual quantity of cheesecake ingredients, as a way of controlling calorie consumption. 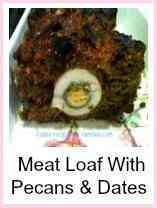 We had this for dessert and it looks divine and tastes superb! This is cheesecake recipe is made from scratch and our recipe tutorials will show you step-by-step how to make the crumb crust, prepare the fresh pumpkin and make the cheesecake filling. 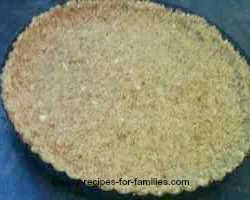 Make the biscuit crumb crust from scratch, then chill it in the refrigerator while you attend to the rest of the recipe. 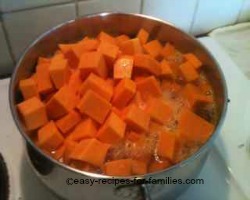 Cook the pumpkin till very tender, in sugared water. Add the other recipe ingredients to make the no-bake pumpkin filling. Spoon in the filling and chill for 4 hours. This really is a simple recipe for pumpkin cheesecake but making a cheesecake from scratch does take time. Naturally, you can purchase the crumb crust and use cans of pumpkin and it's so much faster. Because I care about what my family consumes, I do take the trouble to make things from scratch. We enjoyed this cheesecake for dessert with a main meal of a wonderful, moist roast beef. with roast potatoes and sour cream and freshly cooked broccoli. It was a really lovely traditional family meal. This pumpkin cheesecake recipe is about half the size of a cheesecake as it has half the quantities and is made in a flan pan. Like most families, we love desserts, and this is just a small way to control the consumption of calories - just serve less! 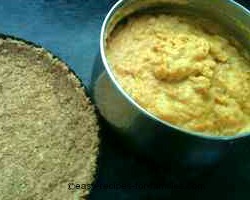 •	To make the biscuit crumb crust, place the crackers into a clean plastic bag. I use a medium sized freezer bag. •	Knot the bag loosely after expelling as much air as you can from the bag. Be sure the bag has lots of room. 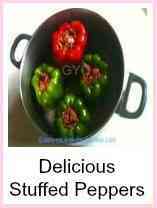 •	Use the base of a heavy saucepan to crush the bag of biscuits. •	Move the biscuits around in the bag, and continue to crush till it becomes a fine ground crust. With graham cracker or shredded wheat biscuits this will not take long. •	Melt the butter in a saucepan. •	Tip in the fine biscuits crumbs all at once. •	Combine well so that all the crumbs are coated in melted butter. 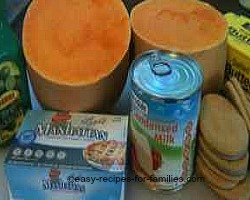 •	Spoon the mixture into the non-stick removable flan pan. 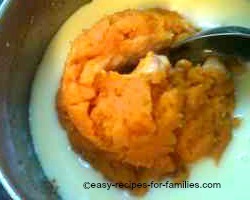 •	Press the biscuit mixture into the base and walls of the pan. Press firmly so that the crumb crust is firmly packed. 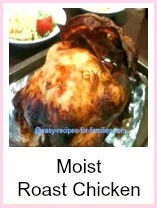 •	Leave this in the freezer to set while you prepare the next steps of this recipe. •	The fresh pumpkin must have the outer skin and seeds removed. 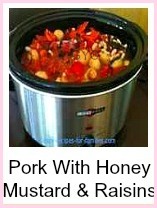 Wash it then cut into large chunks. •	Boil till the pumpkin is very soft. •	Puree the pumpkin. Use a blender, but because there's just so little of this, the potato masher works just as well. •	Pour the condensed milk into a roomy bowl. •	Combine well till lovely and smooth. 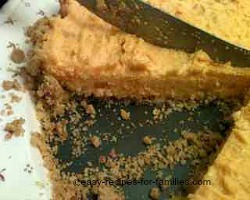 •	Take the crumb crust out of the freezer. You'll find it will have set quite firmly. •	Return it to the refrigerator and chill for 4 hours. 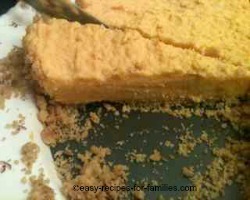 This is a lovely light pumpkin cheesecake recipe, not too sweet and not heavy at all. 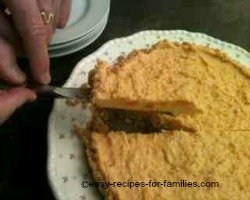 I find this pumpkin cheesecake goes well when you have a rich heavy dinner like a hearty stew or a roast. Substitute with low fat cream cheese to reduce calorie consumption. For a traditional sized cheesecake, just double the quantities of everything from the biscuits, to the pumpkin, condensed milk and cream cheese. Leave Pumpkin Cheesecake Recipe and check out loads of easy traditional sweet yummies that your family will love!